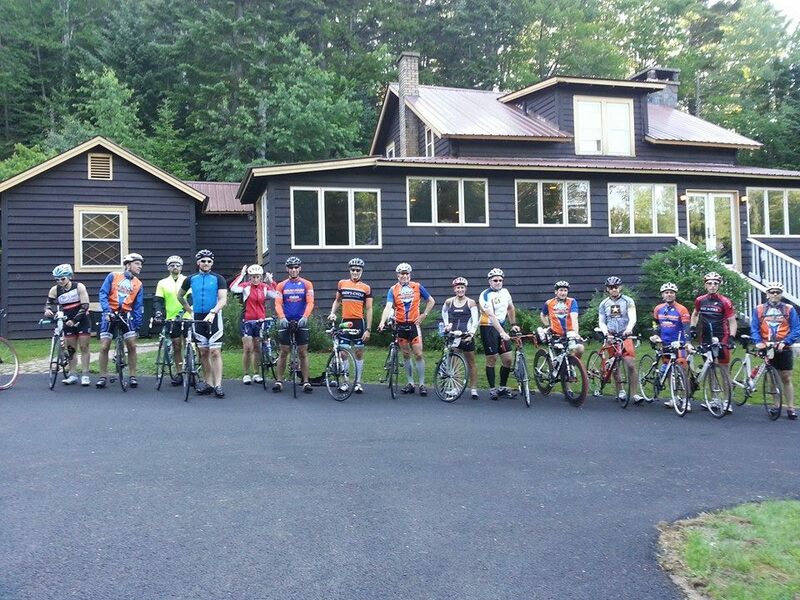 This past weekend Northeast Multisport (NEMS based out of Nashua, NH) held our annual triathlon training camp in Lake Placid, New York. 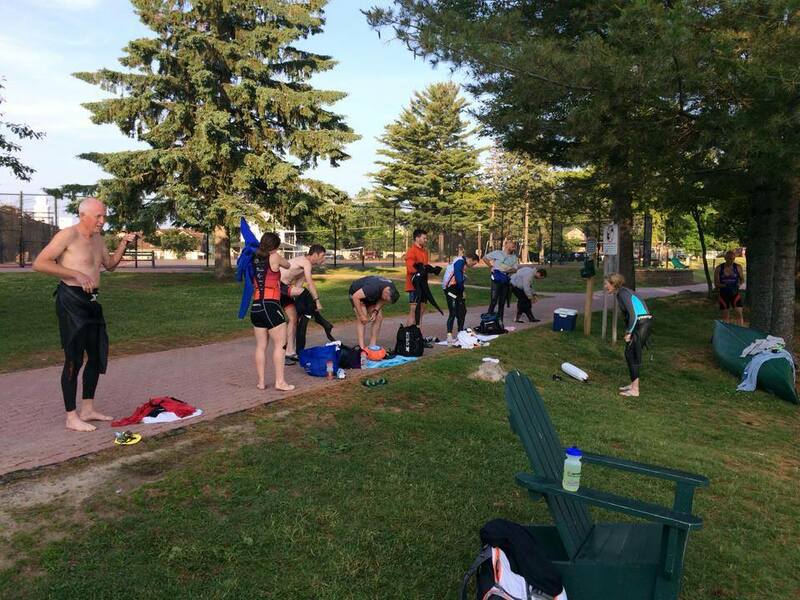 Though I have been to triathlon training camps before, this would be my first one with NEMS and I was excited and a little nervous going in. I knew there was going to be quite a varied group of athletes, from Ironman and everything in between, so for some the bike in Lake Placid could be a bit of a shock. I had to work most of the day on Thursday, so I was a bit late meeting up with my ride to head out. Luckily the conversation on the way was great and kept both of us awake. We were all staying in a house located near the turnaround of the Ironman run course, but the address of the place ended up making no sense so it took a couple of tries to find it. When we did arrive (around 10:30 PM), we found most everyone was asleep (smart!). My ride found the women’s dormitory, a smaller separate building from the main house, and I headed upstairs to my luxury cot. My two roommates were still awake as I tried not to make too much noise setting up the bed. 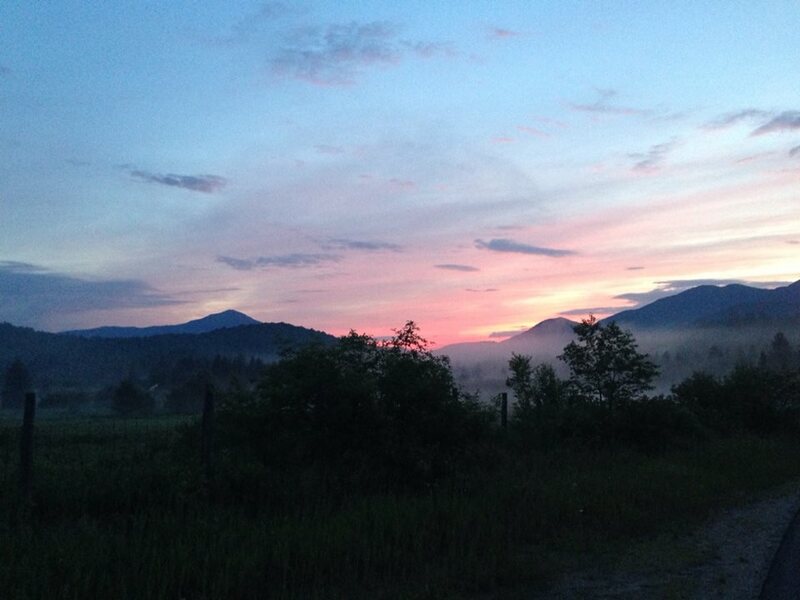 Rumors of a 6:00 AM start time for the long ride on Friday were being thrown around, which made me stop in my tracks. 6 AM?? 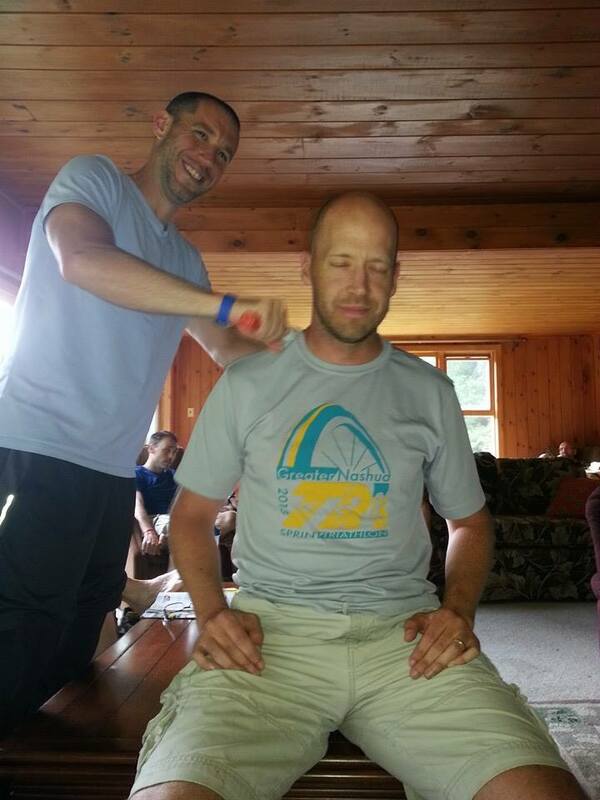 Hmm, I knew this probably came from Head Coach Colin (perennial early riser and Kona qualifier – I see no connection), who unfortunately could not make it up to the camp this weekend, so I thought to myself that I would pull rank (of which I had none) and suggest a 7 AM departure. I think most everyone agreed and so we were set for bed. Lucky for me my cot had definitely seen some use and was well broken in, the large vortex in the middle was definitely super comfortable! Friday morning came sooner than expected and everyone was in a (somewhat groggy) flurry of activity to get ready. Some got up three hours early and did some race nutrition protocol practice, another wise choice. We generally formed groups based on people’s pace and I wanted to stay in the back to make sure the newer people knew where to go. Nothing like getting lost on your first loop of the LP course (not fun). The morning temps were in the 40s, no wind to speak of and the sun was beginning to shine. Off we go! I think the best part of the ride, as is usual in LP, is the spectacular scenery. I loved the Mont Tremblant course I raced the week prior, but nothing beats that Lake Placid bike course, the climb out of LP by the ski jump, the dreaded descent into Keene (now partially repaved, hopefully completely repaved by Ironman), the flat winding river section, out and back into Deliverance land (no offense to anyone), up into Jay and Wilmington by Whiteface, and of course the three bears. My first loop was a bit slow with several stops, but I flew on the second and felt pretty good throughout. Made it back to base camp by early afternoon and had a quick transition run, it was getting hot! After a quick shower we gathered the non napping members of the club and had a discussion about race prep and race nutrition. Many really great conversations and I think each one of us (who were awake) learned a thing or two. 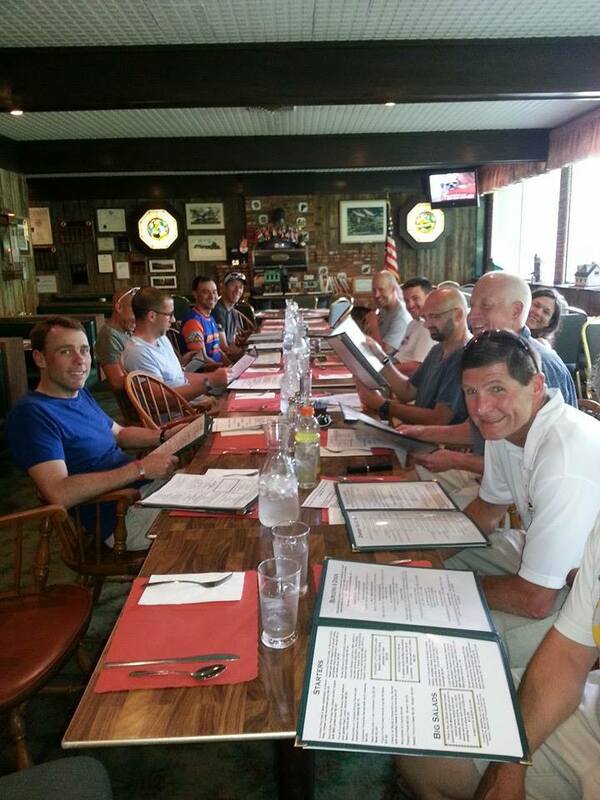 Then we had dinner at Generations in downtown LP, a buffet that was perfect for recovering cyclists (thanks to Dan Dugan for the food arrangements). Finally, time to get home, get ready for the Saturday long swim, one loop bike, and transition run. Saturday began much like Friday, and I was doubly impressed with those who did more race nutrition protocol (you guys are going to nail it!). First up, two loops (2.4 miles) of the LP Ironman swim course. For those not in the know, the swim course is pretty much setup year round with small buoys connected with rope that can guide you through the whole swim without really picking up your head to sight. This is good for the LP swim, but bad for practicing conditions at most races. So after the wet-suit struggle of getting the damn thing on, we swam. Water temps were in the 70s and very comfortable. I did my best to sight throughout but was never quite sure if I was going straight due to my incredible sighting skills (which sometimes are less than accurate), or more likely the guide rope. Regardless we made the turn at 0.6, completed one loop, and set out to finish the second. Another bonus about the LP swim is seeing where you are in relation to the buildings of LP proper. Sometimes it’s hard to tell how far away you are from the swim finish when you can’t see much farther than the buoy ahead of you, but if you breathe in the right direction (or better yet both!) you can see where you are by the passing buildings. 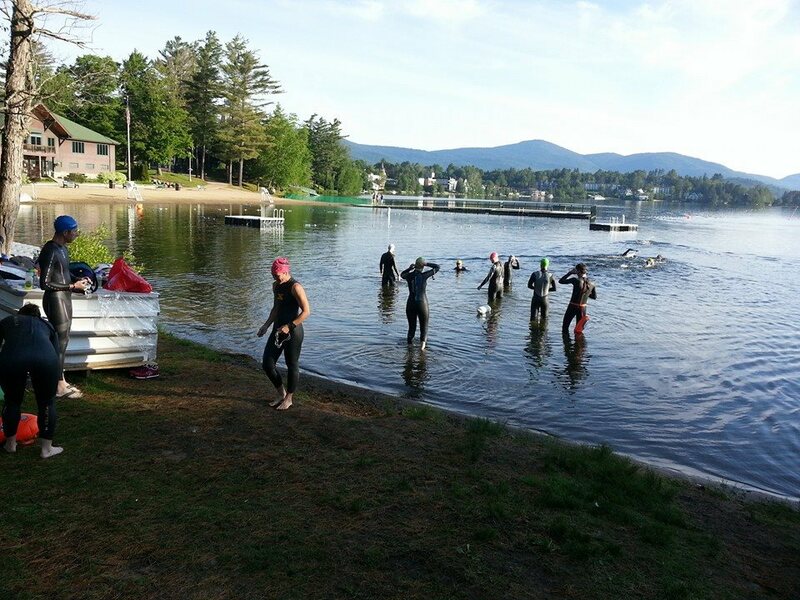 I maintained a solid pace and felt great at the swim exit. Is this what it looks like? Beth needed some calves stretched. Hojo’s, I think some of us got more than we bargained for. 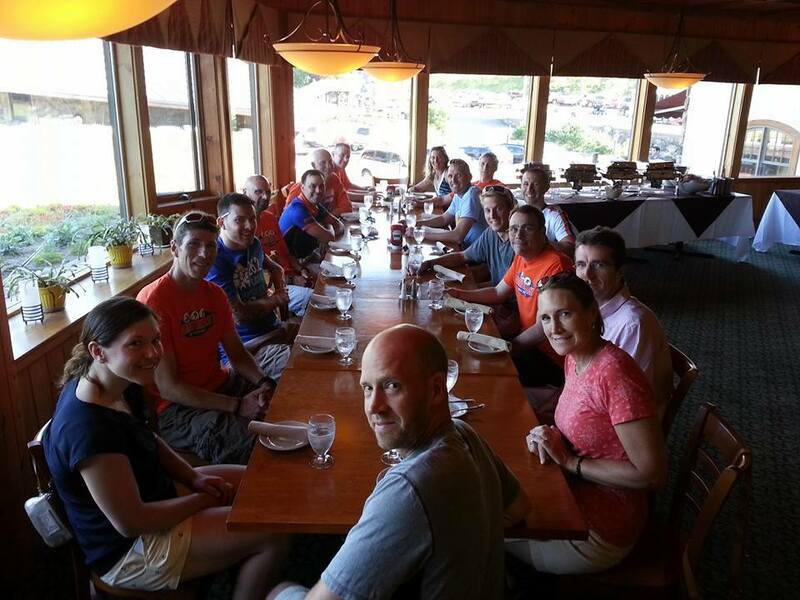 Dinner at Howard Johnson’s Saturday night, with varying levels of success, and back to sleep for long run Sunday!! Sunday was here already, and this day is what makes the training camp truly remarkable. First, a quick 1 loop swim. Someone had the bright idea to bring a cooler to the lake and leave one outside the house along the run course (I think Mike Walsh – thanks!). This was key as the temps were already approaching 80 when we began running from the lake, to the run turnaround, and back again. This run on Sunday is a great simulation of an actual Ironman run as you’ve been blasting your legs for two days straight. Would you blow up, give up, or have a solid run? I’m pleased to say that every single last one of us probably exceeded our expectations and did great, in very humid and hot conditions. That run back into LP is no joke but we all made it! By the end of the camp I was really impressed with how everyone did. No complaints, everyone was there to get better, faster, stronger, and have a good time. Some people had only done sprints, while others were multiple IM finishers. But I think everyone (including me) learned a lot about ourselves and how far it’s possible to push, push again, whimper a little, and then finish strong. If you haven’t done a camp like this before, I really encourage you to get out there and do one, if it makes you nervous even better reason to go. I guarantee you’ll have a great time, especially with this amazing group! Thanks Richard H for the photos!